The American Standardization or The American Dream? As I’ve stated in previous posts, during a week of standardizing our ever diverse students, it causes many teachers to take pause, and reflect on why, truly, we have entered into the profession we have. I’ll admit, when I was in college, it was a bit of a different reason than it is now. I found kids fun and interacting with them rewarding, and I thought it might be an interesting career to pursue. As I progressed, I began to fall in love with the learning process. I frequently pondered questions regarding different methodologies and philosophies, and there seemed to be an odd romanticism in being lost and finding my own philosophy. In fact, due to this lost notion in my college years, I had a hard time reading (or maybe I just had a hard time understanding, making it disengaging) about other educational theorists and philosophers. It was very hard to take interest in their ideas, when I had nothing to really compare them to. I didn’t know who I was as a teacher, and, really, I didn’t know the first thing about what it meant to be an educator. Today, my philosophy has further solidified, and I am finally beginning to see the importance in understanding the past contributors to education. Not only does this provide little support for the way that we teach our children nowadays, but it also helps to reiterate some of my previous ideas. We are not content specialists, at least at the elementary level, and we are not there to simply provide programmable background knowledge to students. What we should be doing is cultivating learning and planting seeds of inquiry within our students. We should be teaching students how to learn, and not necessarily what to learn all the time. While teaching base knowledge and some content should be part of an elementary teacher’s job description, there should always be an underlying message of teaching students to be self-sufficient learners and problem-solvers. When I say problem-solving, I am not referring to the math extended response, or the ability to use deductive reasoning in order to choose the correct answer of four possibilities. Rather, I am referring to our students’ current inability to seek out answers and connect dots on their own. Currently, I am trying to change this by helping students find ways to learn information on their own (even if it isn’t interest-based), so that they are developing a sense of self-efficacy, and a method through which they can teach themselves. In fact, we had a wonderful conversation today about “collecting” dots versus “connecting” dots in relation to our in-progress unit on the regions. Too often, instead of teaching curiosity, we model a need to always have the correct answer. I know too many teachers who fear a content area because they do not feel they know enough about it. Now, do I think we should just go in blind and be uninformed in the topic matter that we are teaching? Of course, not! In fact, to plan your unit and write your assessment prior to instruction, it is necessary to do some independent research. However, questions that children ask are unpredictable, and the preconceptions with which they arrive in our classrooms can, many times, be a surprise. It is necessary to seize these opportunities and model the process of curiosity and learning. Kids need to see things in order to start replicating them. If you are constantly afraid of being incorrect or always feeling inadequate from your lack of perfection, your children will follow suit. If you encourage their curiosities and respond to their questions as an opportunity to model inquiry, research, and new learning, your children will follow suit, as well. In a world of high-stakes testing, it is easy to become concerned with yourself, as the teacher. What am I doing wrong? How can I get them to understand this concept? However, if the point of education is truly to enrich the child and send them down a path to be a successful adult, capable of functioning and contributing to society, then we have to focus on what these children can contribute to our classrooms and the best ways in which they will function in our learning environments. So instead of asking the question, What can I do? Try asking the question, What do they need? What do they want? Trying to control everything and emphasize your own presence in the classroom takes too much energy, and it’s energy completely spent in vain. In fact, I think you’ll see that, once you deemphasize your presence, and put more of the spotlight on their questions, successes, and positive contributions, you will see that they will feel your presence, they will know that you “get” them, and they will begin to emphasize and take care of themselves as well as others. When they feel empowered, they will take advantage of it. While it was a long time ago, Dewey certainly had a few things right, and some of these we’ve lost in this NCLB era. Ironically, or maybe not so ironically, one could argue that we are, in fact, leaving some behind. 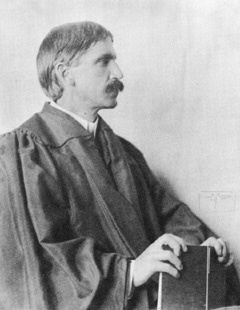 Dewey wanted to build an educational system that promoted democracy and freedom. In order to do this, children need to be able to speak freely and make choices, and they have the right to feel empowered. After all, education is meant to be a series of interconnected pathways through which the American Dream is manifested and eventually achieved; it is not meant to be a single expressway through which all roads converge, leading our kids to the American Standardization. Next Do "Pretty" Teachers Get More Respect?